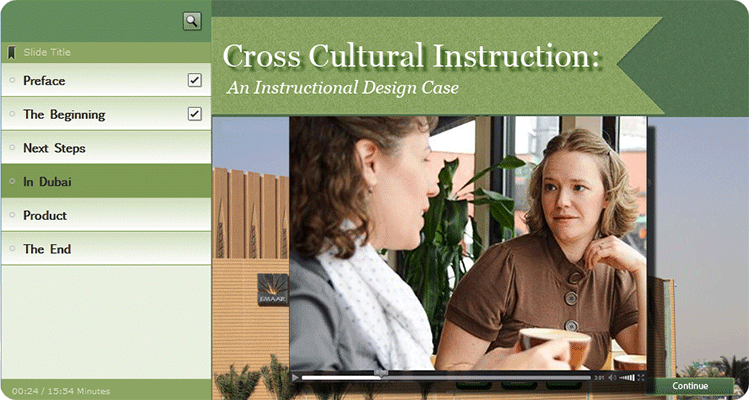 Partnering with a university instructional design team employing a rapid prototyping methodology and the constructivist ID approach, Layers of Negotiation Model, a comprehensive curriculum was designed. 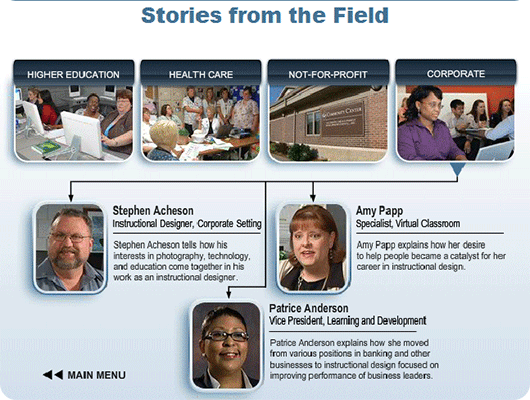 This is an exploration of ADDIE, the core process of instructional design, featuring a diverse range of professionals explaining what it is and how it is applied. This is an awareness raising widget commissioned for an Institute of Further Education. Its purpose is to provide a quick reminder to young students about the need to learn to use HTML5. 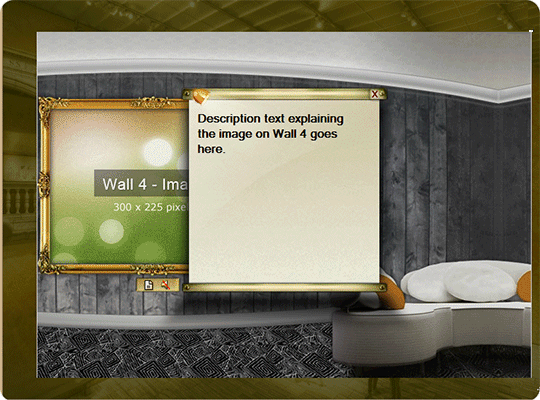 This is an interactive, high-functioning prototype of a virtual museum. Distance learning courses are designed to offer today’s busy workers more flexibility in planning a course load which can be completed regardless of time and/or location. Distance learning is about taking college-level courses and making them available to workers irrespective of their location or the time of day. Employees can now take study periods to suit their circumstances.